Create a professional scatter chart on Linux can be easily and quickly if you design with Edraw Linux scatter chart software. A scatter chart is a type of plot or mathematical diagram which displays values for typically two variables for a set of data. 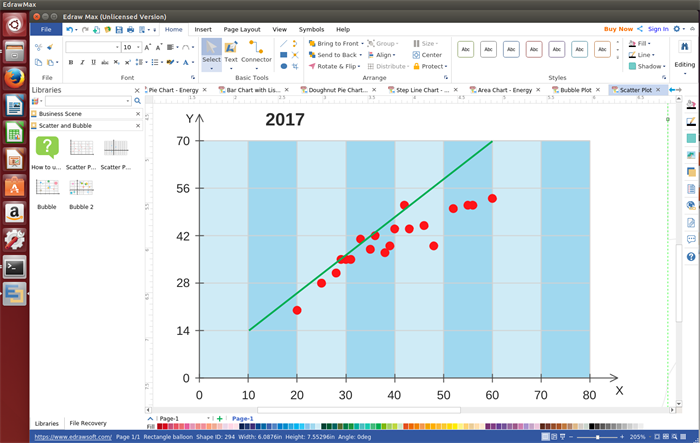 It is similar to line chart in that they use horizontal and vertical axes to plot data points. It is mainly used to show how much one variable is affected by another and illustrate a trend. 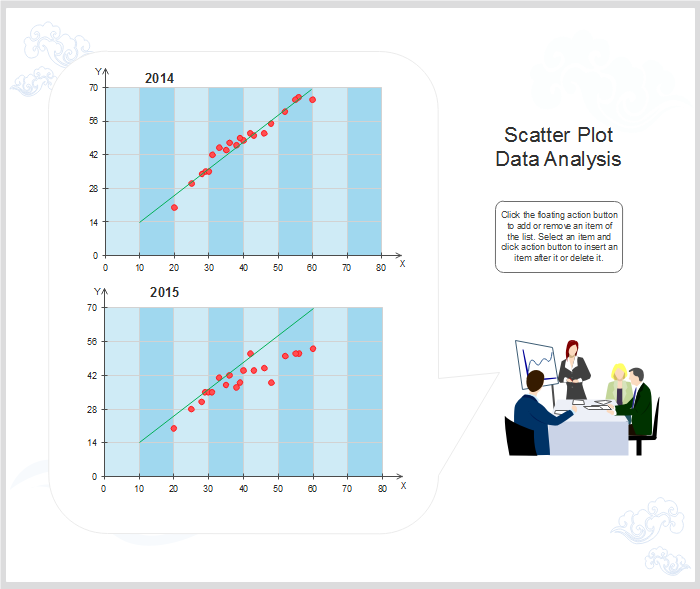 Edraw scatter chart software for Linux is the ideal and all-inclusive scatter chart maker which allows users to create various charts not just scatter charts. It is not only suitable for experienced chart designer but also fit to a green hand as it has almost set everything ready and what users need to do is just click their mouse and finishing the rest simple steps. 1. A full-suite tool which enables users to create various charts more than scatter charts, such as line charts, doughnut charts, bubble charts, column charts, gauges, etc. 2. Pre-made symbols and well-designed scatter chart templates are provided for users. They can start drawing quickly by editing a built-in template or open a blank drawing page to start anew. 3. Users are permitted to free design their own shapes with embedded drawing tools if they do not find the shapes they want. 4. It gives users a visual idea of what is happening with their data and help them analyze the data more effectively and precisely. 5. Multiple file formats export support and real-time collaboration enable users to share their scatter charts in minutes. Below pictures shows the scatter chart shapes provided by our Linux scatter chart software. All of the shapes are royalty free and easy to edit. Users can start by dragging built-in shapes or designing their own shape with prepared drawing tool. Edraw Linux scatter chart software is one of the best alternatives when you are tired of drawing the scatter chart by your hand. 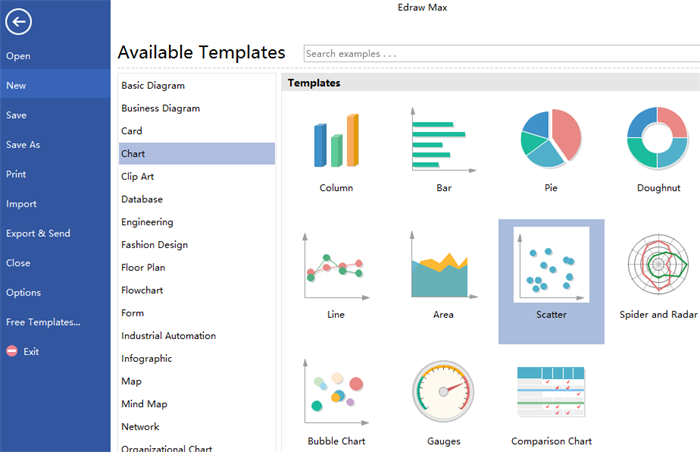 It is such an easy-to-use and worriless chart maker with almost everything ready. Below are the simple steps that uses need to do. 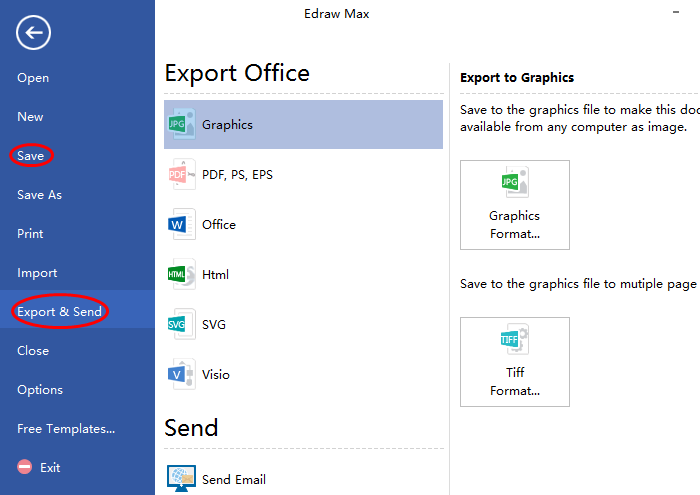 Run the software, double click the Scatter icon under chart template to open a blank drawing page. Drag a scatter shape and drop on the drawing page, then click the floating button to set the data and position. Users can also load the local data file directly. Navigate to the right sidebar and set the points color to make them obvious and easy to analyze. Click Save icon to save the scatter chart as default .eddx format; or export it to common formats which are convenient to share by clicking Export & Send. Here comes a scatter chart example drawn by our powerful scatter chart softwre for Linux. Welcome to download it if any interest and customize the data to make it your own scatter chart.